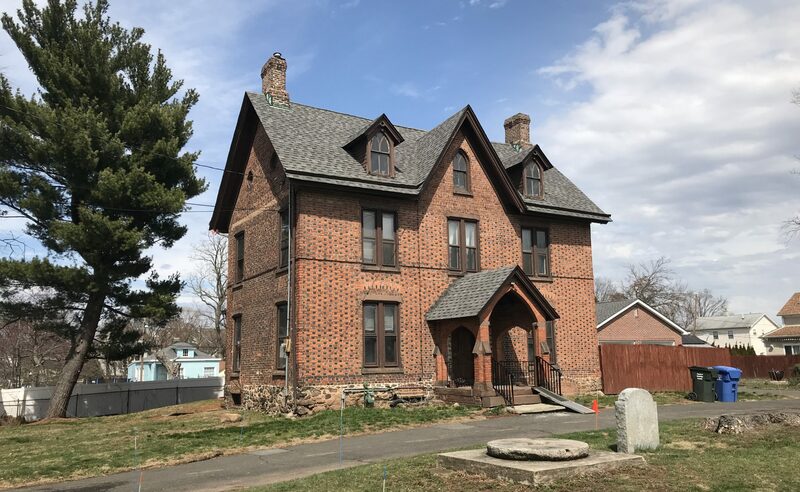 The Jonathan Dunham House’s 300th anniversary was celebrated with an open house on April 29, 2018. The event also marked the completion of a four-year restoration of the house’s interior and parts of the exterior. 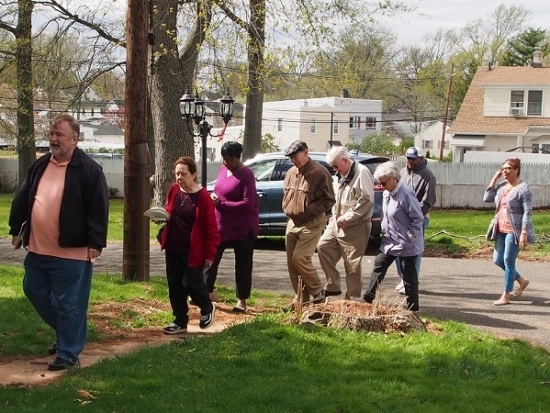 Tours of the house and other parts of Trinity Episcopal Church’s historic buildings and grounds were provided. 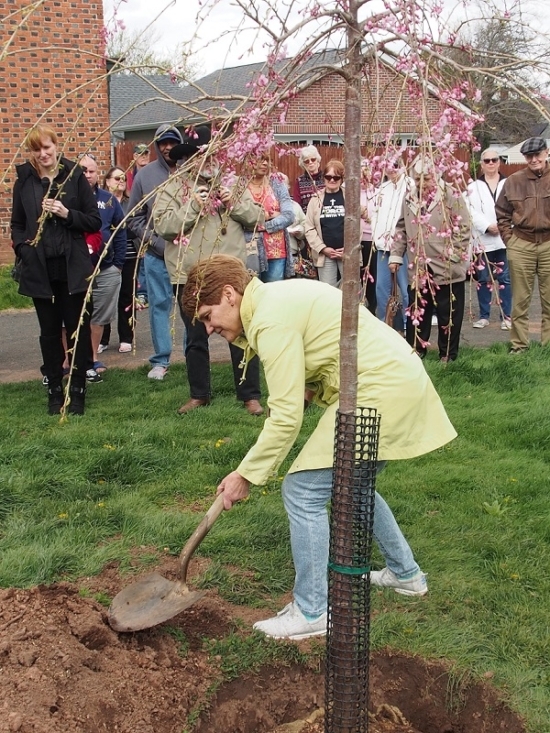 A ceremony during the event featured a tree planting in memory of Sandy Kalista, who took a leading role in a four-year interior restoration of the house. Sandy unexpectedly died eight days before the open house. Here are some photos of the day’s proceedings, courtesy of Allen Francis. To see the recognition that the house received from the federal, state, county and township governments, click here. The Rev. 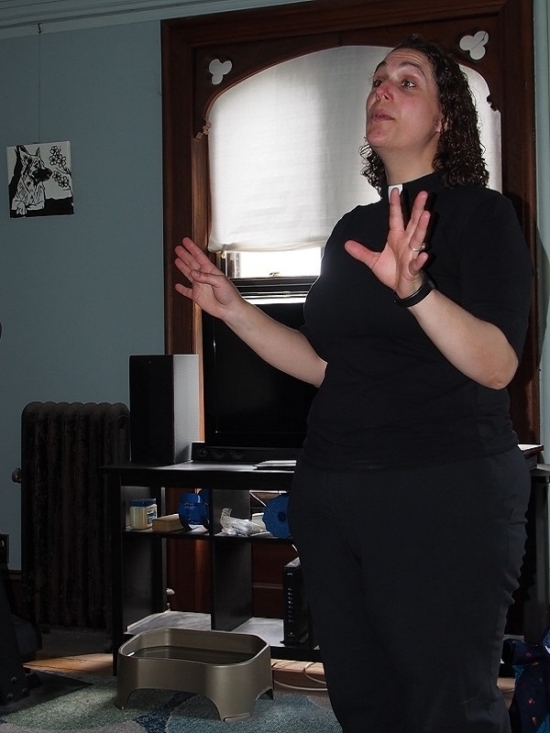 Angela Cipolla, Trinity Church's priest-in-charge and the house's current occupant, talks about the restoration work. David Wilson, left, conducted historical tours of Trinity's building and grounds during the open house. He's shown here with the second of three tour groups. The first one had about 100 people. 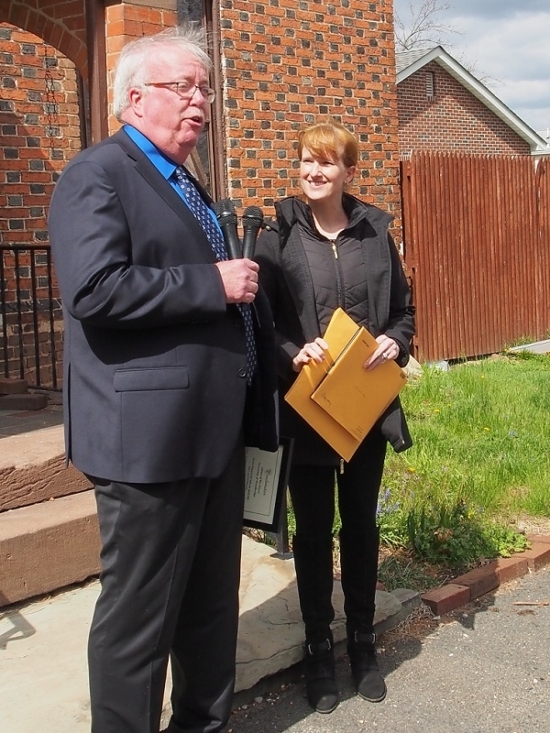 Woodbridge Mayor John McCormac spoke during a ceremony held outside the house&#039;s front steps. He presented Trinity with a proclamation, which Robin Vitale is holding. Robin hosted the ceremony. 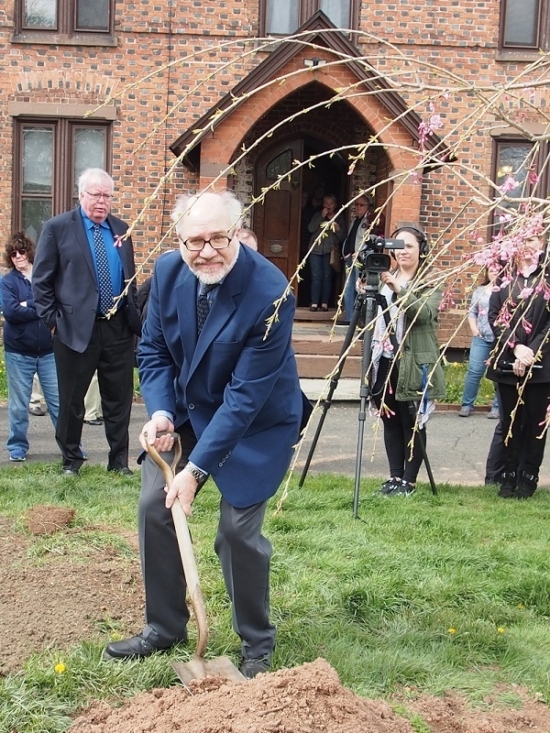 Steve Kalista put the first shovelful of dirt atop a newly planted tree in the house&#039;s driveway island. The tree is a memorial to his wife, Sandy, who played a leading role in the preservation work. Their daughters, Annaliese Blankenship and Jessamy Kalista, and his daughter, Megan Muller, followed his lead. Sandy Kalista&#039;s sister, Carolyn Percifield, took a turn at the shovel. Carolyn and her brothers, Christian, Laurits and Niels Andersen, were at Trinity two days earlier for Sandy&#039;s funeral.